The second stop as The Guitar Train goes “Back in Time” to 1985 looks at the great movie that gave us that song – “Back to the Future”. Released on July 3, 1985 this is a classic, must see movie starring Michael J. Fox and Christopher Lloyd. I remember being on line to go into the movie theater thirty years ago and reading the movie poster. The film’s title confused me so I asked my mom, “How can anyone go “back” to the future since the future hasn’t happened yet?” My mom couldn’t answer that question until she saw the movie and understood the very clever premise of the movie. Almost everything that happens or is talked about in 1985 pays off in 1955 and then back again in 1985. Since this is a music blog, I want to focus on the musical aspects of the movie and Huey Lewis. The music of Huey Lewis and the News is a huge part of this movie as they wrote two songs for the movie, “The Power of Love” and “Back in Time”, which are played repeatedly throughout the movie. Huey himself appears in an uncredited role in the beginning of the film as a dorky teacher who tells Marty McFly and his band that they are “too darn loud” when they audition by playing an electrified version of “The Power of Love”. The Behind the Scenes feature on “Looking Back to the Future” shows extended footage of Huey’s scene including some of his lines which were cut from the film. Huey is also shown telling Michael J. Fox that his guitar playing is “perfect”. Michael J. Fox had actually been a guitar player since he was a teenager. He was very proud of the fact that he played every note seen on screen in the “Johnny B. Goode” scene. That leads me to the one aspect of the film that isn’t followed up when Marty returns to 1985. He did get to play guitar for an audience in 1955 but there’s no musical triumph when he returns to 1985. I only saw “Back to the Future Part II” once so I don’t remember if this comes up in that film. I’ll have to watch that one again (as well as Part 3). I have to write more about Michael J. Fox. He was a huge star in 1985 because of his star-making performance in the TV show, “Family Ties”. I loved that show and I bought teen magazines like “Teen Beat” which were filled with photos of him. Because he could not get out of shooting “Family Ties”, “Back to the Future” was actually shot with Eric Stolz playing Marty. Six weeks into filming, production stopped and a deal was made for Michael J. Fox to shoot “Family Ties” during the day and “Back to the Future” at night. So the movie was reshot with Michael J. Fox and he kept up that crazy schedule to complete the movie. He is a great actor and is still acting today. It’s nice that he wasn’t a one hit (or two hit) wonder in 1985 and has had a long, successful acting career. How cool was the DeLorean? I think it would be cool to have just as a car even without it being a time machine. But on second thought, as Michael J. Fox said in the Behind the Scenes feature, it was “not a practical car”. As he pointed out, if you parked next to another car, you wouldn’t be able to open the door to get out. So there’s that and the fact that people would probably expect it to be a time machine and want you to drive 88 mph. Writing of time machines, in the Behind the Scenes feature, Huey Lewis was asked where he would go if he could go to another time. He answered the 1950’s which makes sense for him and the style of music he loves. I would go back to 1963 and stay around until 1970 so I could hear Beatles songs as they were first released and everything the band did would be as it happened, not seen in retrospect decades later. Guitar Train passengers, what time period would you go to and why? Walking through the center of a small town recently I was shocked to see the famous DeLorean time machine from the fantastic “Back to the Future” movies. There it was (well, a replica) complete with the lightning rod, hoverboard, and the case holding the plutonium needed to fuel it. I took photos but unfortunately they did not come out as well as I had hoped. (I wish I could use the DeLorean to go back to that day and take more and better photos). I did get to sit in the car which was very low to the ground and smaller than I thought it would be. I’m not a car person but it would the coolest car to own. “Back to the Future” is one of my favorite movies. I wrote about it in the Guitar Train stop called “The Guitar Train Goes ‘Back to the Future’” on May 21, 2015. https://guitartrain.wordpress.com/?s=Back+to+the+Future Part of the reason I loved the first movie was the Huey Lewis and the News soundtrack and Huey’s small part in the movie. I saw Part II when it came out but I didn’t like it was much as the original. I guess that put me off seeing Part III as well as the fact that I don’t like Westerns. I recently watched all three movies. I still love the original. Part II is still not a favorite; too violent for me. So after all these years, I finally watched Part III and I loved it. It had the charm and fun of the original. To see those familiar characters again was great, even in the Old West setting. It was like watching a reunion. I’m a little mad at myself for taking so long to see the movie yet it was a gift to see something so great for the first time. Of course being in a “time machine” leads to the question of what period of time I would like to travel to. As I wrote in the Guitar Train stop two years ago, I would definitely go back to experience Beatlemania first hand in either England or the Unites States. 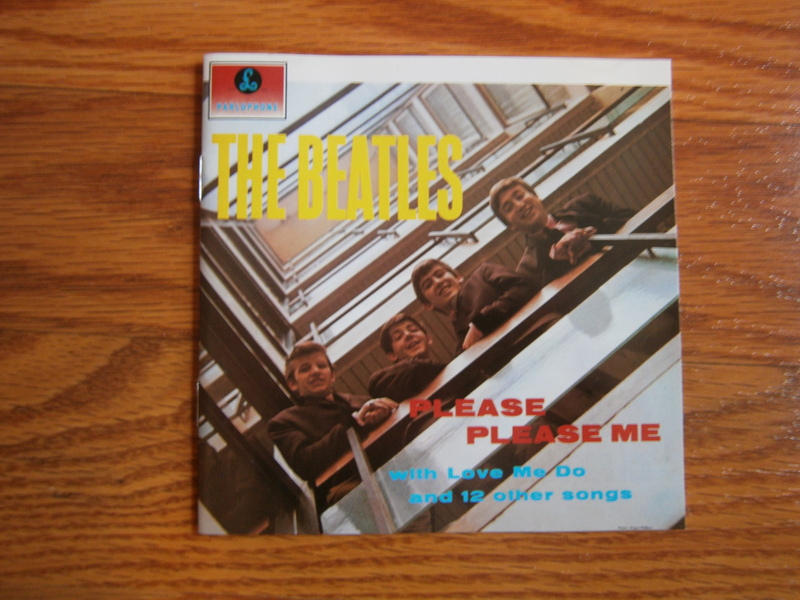 Even if I wasn’t lucky enough to go to an actual Beatles concert, I could buy their records as they were released as well as buy the Beatles related memorabilia. As for traveling to the future, I am not sure what I would want to see. I feel like time goes by so fast that the distant future will be here before I know it. The big attraction to visiting the future is for assurances that situations work out well for yourself, family, friends, and the world. So purely for fun and curiosity, it would be interesting to go ahead 50 years and see if Beatles music is still played and praised 50 years after the release of “Sgt. Pepper’s Lonely Hearts Club Band”. I remember June 1987 when it really “was twenty years ago today” and I can’t believe 30 years has passed since then. So 50 more years will be here in the blink of an eye. The future always seems scarier than the past yet humans have endured incredibly scary times in the past. Happiness from listening to Beatles music will always be needed. Guitar Train passengers, where in the future would you take the DeLorean and why? For the glorious month of May, Quirky T is conducting The Guitar Train to travel “Back in Time” to the year 1985. It’s hard (and a little depressing) to believe it’s been 30 years since that great year for music and pop culture. This Guitar Train stop looks at my favorite musicians from 1985. I remember 1985 as being a year when any time I turned on the radio, I would recognize the song being played as well as know whose song it was. Huey Lewis and the News did not release an album in 1985 (their great album, “Sports” was released in 1983) but they did contribute two songs to the soundtrack of the classic movie “Back to the Future”. “The Power of Love” is one of my favorite Huey Lewis and the News songs and stands alone as a great song apart from the movie. The other song from the movie, “Back in Time”, is the opposite as it is basically a summary of the movie. It is still a good song and better than many typical soundtrack songs. Phil Collins released his third solo album, “No Jacket Required” in 1985. 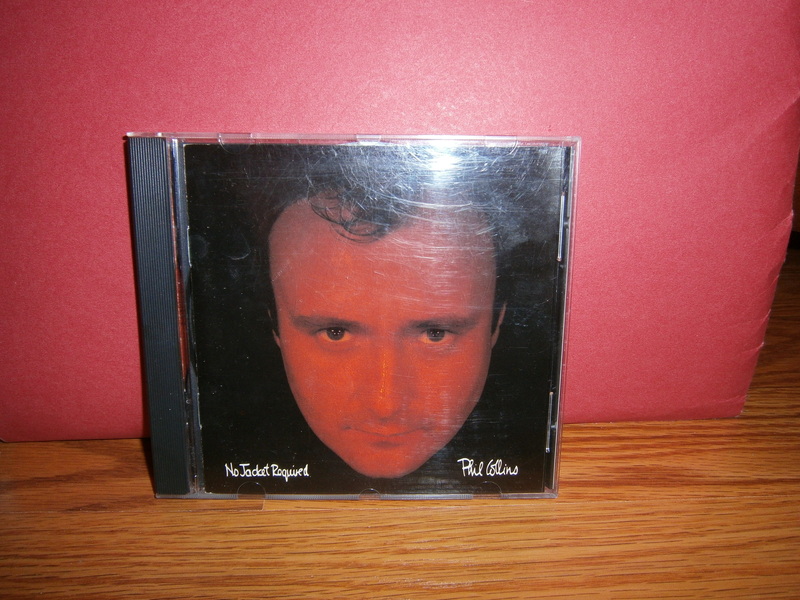 As I have written before, this is the first Phil Collins CD I bought and still my favorite of his. I bought a CD player just so I could play this album in CD format since only the CD contained the song “We Said Hello Goodbye” which is still my all time favorite song. Two songs from this album (“One More Night” and “Sussudio”) as well as a duet Phil Collins sang with Marilyn Martin, “Separate Lives”, were all #1 hits in 1985. 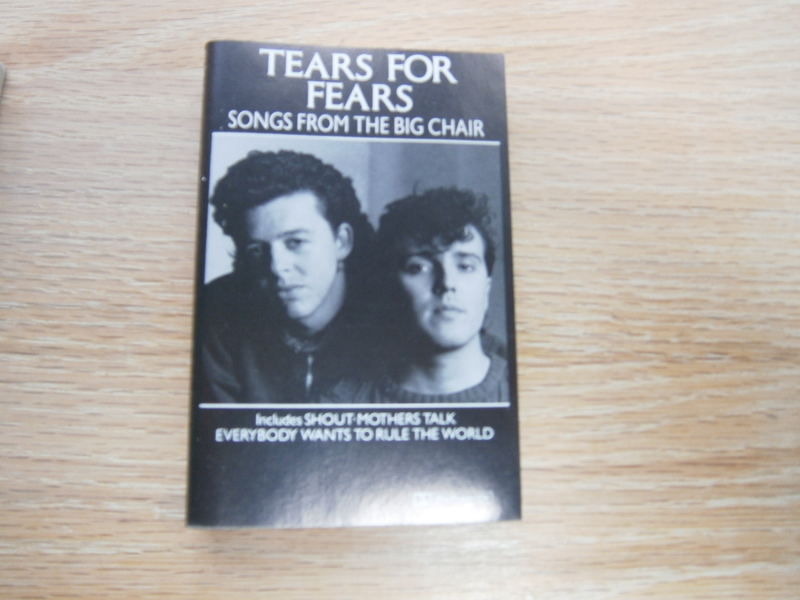 To continue on the English side, Tears for Fears released “Songs from the Big Chair” in 1985. It contains three of my favorite of their songs – the #1 hits “Everybody Wants to Rule the World” and “Shout” as well as “Head Over Heels”. Those songs are still played on the music system piped into my workplace and I still like them. Another English group, Dire Straits, also released a classic album in 1985. “Brothers in Arms” contains two of my favorite of their songs – “Money for Nothing” and “Walk of Life”. “Money for Nothing” of course came along with a great video which was very MTV friendly. Tragically, I did not have cable TV in 1985 so I could only see the video on a local channel’s “Friday Night Videos” TV show and obviously that was only on a Friday night. I hesitate to call the video innovative since MTV was so new that every video was innovative in some way. Creative and eye-catching are better adjectives to use to describe this video. 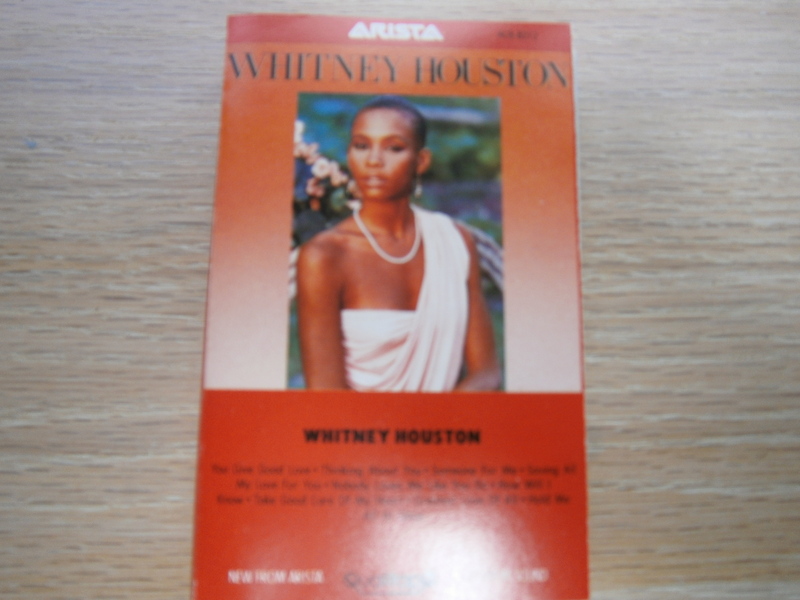 The only female on my list is Whitney Houston who released her self-titled debut album in 1985. What a debut it was! My favorite songs from that album are “All at Once”, “How Will I Know”, and “Greatest Love of All”. My school chorus sang “Greatest Love of All” in one of our school concerts that year. Of course we were nowhere as good as Ms. Houston was; nobody is. She had such an amazing voice and it’s a shame that more great music did not come from her. I really enjoyed the music from 1985 and in most cases, still do. What a great time it was to put the radio on and there be a huge chance that I would enjoy whatever song was playing. I miss that time. Guitar Train passengers, what is your favorite song, album, musician, or band from 1985? Hop back aboard The Guitar Train for the next stop as Quirky T continues to travel back to 1985 to look at the great (Huey Lewis related) movie “Back to the Future”. Quirky T enjoyed looking at Word Press’ Annual Report for this blog and other blogs. One category that always fascinates me is the search engine terms which lead viewers to my blog. Since September of last year, I have been jotting down these terms knowing that there was a post in there somewhere. Well, here it is! I’ve divided the search terms into three categories – Unfathomable (How with the millions of websites on that topic, would anyone be led to mine? ), Right On! (I actually wrote a post on that topic), and Huh? (Someone was searching for that?). I cannot comprehend how with the millions of websites, blogs, and mere mentions of The Beatles on the Internet, that anything relating to them would lead to my little blog. 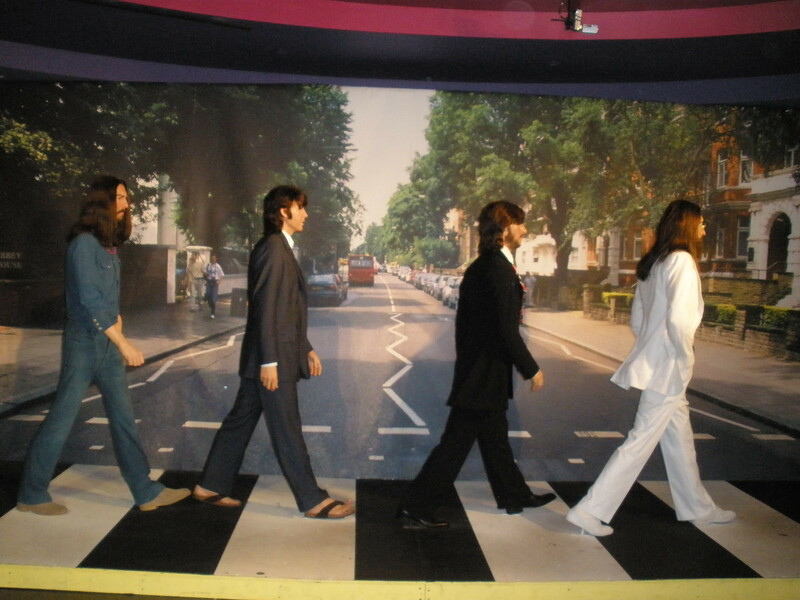 Sure, I have a photo of Madame Tussaud’s Wax Beatles in the Abbey Road album cover poise as my blog header image but I doubt that would attract much traffic (no pun intended). There are blogs that are only devoted to The Beatles that deserve these leads more than mine. Two very good ones are “All You Need is The Beatles” (www.allyouneedisthebeatles.wordpress.com) and “Meet The Beatles for Real” (www.meetthebeatlesforreal.com). At least some of the people who were led to the Guitar Train blog, will find something about Abbey Road, if not the in-depth information they were looking for. These search terms hit their intended target. Religious Christmas Songs is the actual name of my December 5, 2013 post. I wrote about my love for Jon Secada’s version of the song, “The Best is Yet to Come” several times including posts on May 15, 2014 and October 2, 2014 . On December 4, 2014, I wrote a Guitar Train stop about movie soundtracks by my favorite musicians which mentioned Huey Lewis and the News’ soundtrack for the film “Back to the Future”. Someone searched for “Huey Lewis Movie Soundtracks” exactly six days later and hopefully wasn’t disappointed by my post. 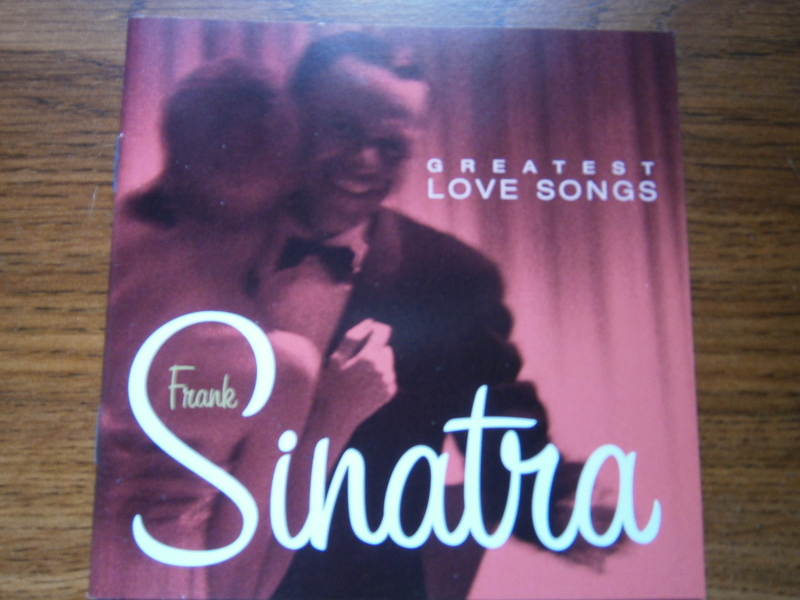 In my October 2, 2014 post on Frank Sinatra, I mentioned his CD called “Greatest Love Songs” so hopefully that was another enjoyed post. It’s ironic that despite the specificity of these search terms, they were led to the wrong site – mine. I apologize for that and will now try to help those searchers. For the first one, I’m glad Mom is patriotic. Hopefully, she’s also American because I only posted about American Patriotic songs on my July 4, 2013 stop called (fittingly) “Patriotic Songs”. The Beatles changed their name several times before settling on “The Beatles”. Unfortunately, the months these changes took place is nowhere to be found on the Guitar Train blog. Sorry. I’ll leave it to more knowledgeable Beatles fans than myself to answer that inquiry. I’m at a loss as to a photo of someone conduction an audience in a song along; it’s definitely not on the Guitar Train. I’m sure photos of this event exist but maybe adding a specific musician’s name might help with the search. Good luck. You can’t be more specific than this request for a photo of Gloria Estefan. I included a photo of my copy of the “Destiny” CD cover in my September 19, 2013 post on Gloria Estefan. (https://guitartrain.wordpress.com/2013/09/19/favorites-month-gloria-estefan/) Upon reading the credits in the accompanying CD booklet, I discovered that Bruce Weber is not listed in the photo credits. Sorry I couldn’t be of more help, searcher. I would like to hear from other bloggers, what are the most unfathomable or “Huh?” search terms that have led to your blog? In Guitar Train stops scheduled for next year, I will spend a whole month discussing the Beatles movies. 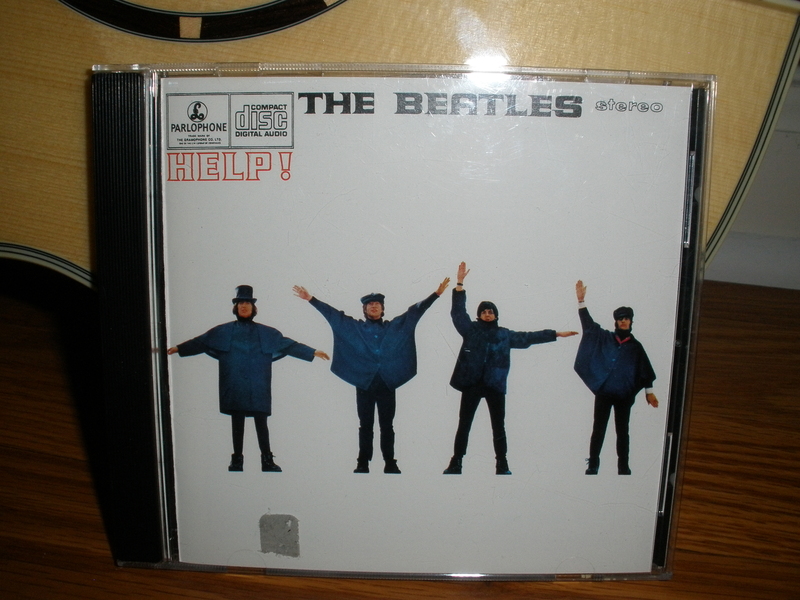 So for this stop, I’ll just mention that since “Help!” is one my favorite Beatles albums, it goes without saying that it would be my favorite Beatles soundtrack album. Huey Lewis and the News had two songs in the excellent 1985 film, “Back to the Future”. I prefer “The Power of Love” over “Back in Time” because it stands on its own separate from the film. “Back in Time” is more of a synopsis of the movie. “The Power of Love” was always an elusive song for me since it didn’t appear on any of the Huey Lewis and the News cassette tapes I had at the time. The only way I could hear it was randomly on the radio. I think that made it more special for me. Before Phil Collins’ songs were in soundtracks of Disney movies such as “Tarzan”, he wrote and performed “Against All Odds” for the 1984 film of the same name. The film starring Jeff Bridges and Rachel Ward is okay but the Phil Collins song is great – heartbreak at his best. Gloria Estefan’s song “Music of My Heart” with boy band ‘N Synch from the 1999 movie, “Music of the Heart”, is not one of her best songs. I only saw the movie because Gloria Estefan had a part in it as well as my favorite actor, Aidan Quinn, and the very amazing Meryl Streep. 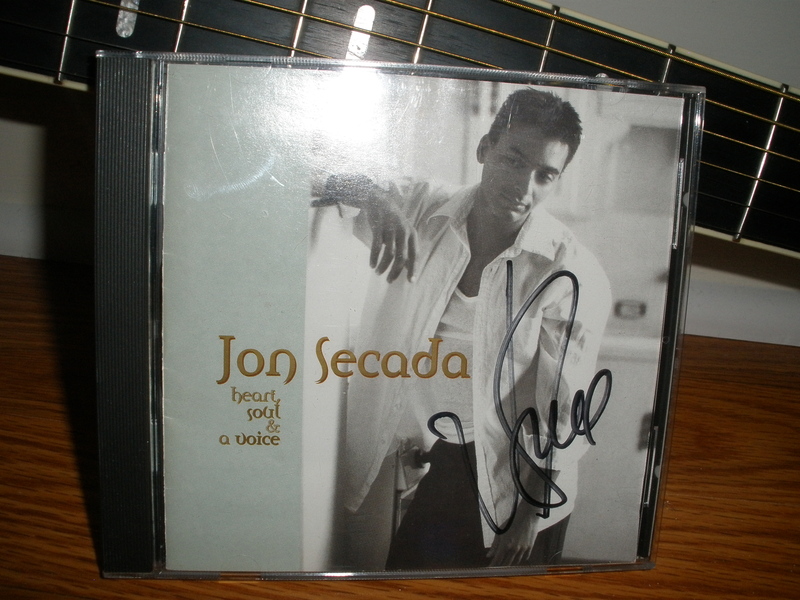 Jon Secada’s song “Mental Picture” from his 1994 album, “Heart, Soul, & a Voice” appeared in the 1994 movie, “The Specialist”. Although I have not seen the movie which stars Sylvester Stallone and Sharon Stone, the Jon Secada song is good. Guitar Train passengers, have your favorite musicians done movie soundtracks? If yes, which ones and did you like them? At the next stop of The Guitar Train’s Movie Soundtrack Month, Quirky T lists her favorite movie soundtracks from musicians other than her favorites. So hop back aboard for that. Recently, Quirky T bought two musical memoirs to read aboard The Guitar Train. I have finished reading Phil Collins’ 2016 autobiography, “Not Dead Yet” and am partway through his Genesis bandmate, Mike Rutherford’s, “The Living Years”. The minute I heard Phil Collins was writing a memoir, I knew I had to read it. While looking online for the release date, I came across Mike Rutherford’s book. It was published in 2014. It is interestingly labeled as “the first Genesis memoir” which seems an odd way to promote it. It’s not as if the former bandmates are in a huge feud and one wanted to get his side of the story out before another did. I ordered this first Genesis autobiography but I read it after Phil Collins’. My interest in reading these books is for the information on what led the musicians to write the songs I love. I’m not very interested in their family lives and I’m definitely not interested in the details of their excessive drinking and drug use. Decades ago, when I first became a Beatles fan, I had to read every book I could find about them. I had to know as much as possible. I needed to know the chronology of their musical journey as well as if they were married and how many children they had. That might be a Beatles fan thing where these are basic facts that every true Beatles fan is supposed to know. I don’t feel that way about my other favorite musicians and bands – Gloria Estefan, Phil Collins, Genesis, Huey Lewis and the News, and Jon Secada. I know about Gloria Estefan’s family life because it is simple- she married the only man she ever dated, has a son and a daughter and is still married to the same man. I only know about Phil Collins’ personal life because it is complicated and very public. So much of his autobiography reflected that. I didn’t realize the incredible backlash he felt when he ended his second marriage. He felt that people who paid to see him in concert were against him. That surprised me because they were fans and I couldn’t imagine a musician feeling like his own fans didn’t like him and still having to perform for them. I wasn’t aware of all this when I saw him in concert but I wouldn’t have held it against him because I like to hear both sides of the story. I have never had a thought about Mike Rutherford’s personal life. His memoir is interesting because he contrasts his rock and roll life with the strict military life of his father. It is also interesting to read his point of view on Genesis events I had read about in Phil Collins’ memoir. Again, no feud between them. In fact, the end of Genesis had no drama at all. Phil wrote that he was nervous in 1996 about telling Tony Banks and Mike Rutherford that he was leaving the group because “these are my oldest musical friends. Two of my oldest friends, full stop.” When told the news, Tony replied, “Well, it’s a sad day.” Mike said, “We understand. We’re just surprised you stayed this long.” I haven’t finished reading Mike Rutherford’s book yet because like Phil Collins’ book, I want to read it slowly to extend my last new connection to Genesis since there’s no new music or tour coming from them. On the topic of tours, I have seen some videos of Phil Collins’ recent tour in Europe. The videos sadden me because of Phil’s physical state. He only sits on a stool and sings. No more drumming. He looks old and frail just like he did when he promoted “Not Dead Yet” on TV talk shows. I feel so badly that he is in pain and not physically what he once was. I don’t know if I’d be able to go to his concert and really enjoy it. I’d be thinking about how vibrant he was and sad about what he is. As a far as the inspirations behind Phil Collins’ solo songs, I already knew that two of his angriest songs (which are two of my favorite songs) “I Don’t Care Anymore” and “Do You Know, Do You Care” came as a result of the bitter divorce from his first wife. He describes himself as “someone who writes from the heart and not the head”. I guess an autobiography is not the format for writing in depth about a songwriter’s musical inspirations. Of course that type of in depth book has been written about the Beatles’ songs. 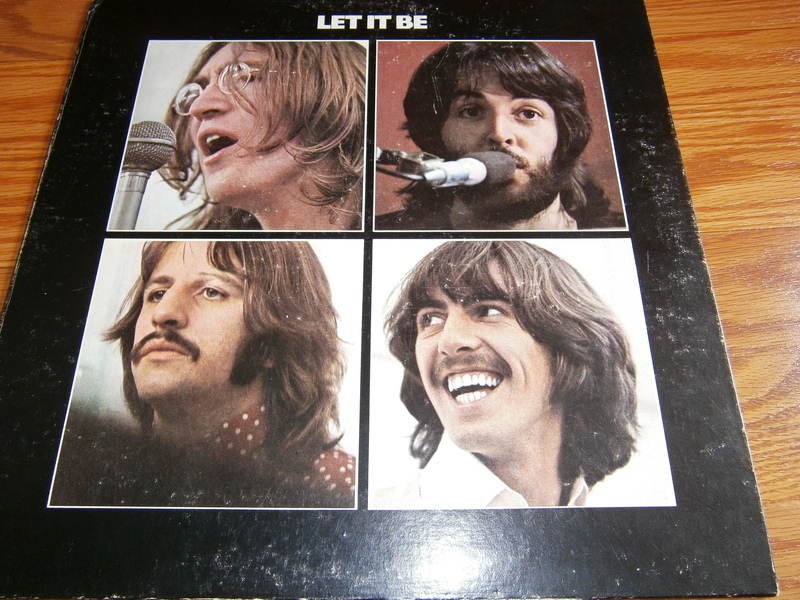 The best book I read on that topic is Hunter Davis’ “The Beatles Lyrics”. Regardless, the two memoirs by Genesis bandmates were good reads and recommended for their fans. Guitar Train passengers, how much do you want to know about your favorite musicians? Do you want personal details or strictly music related details? For which songwriters would you like to read an in depth explanation of the inspirations for their songs? 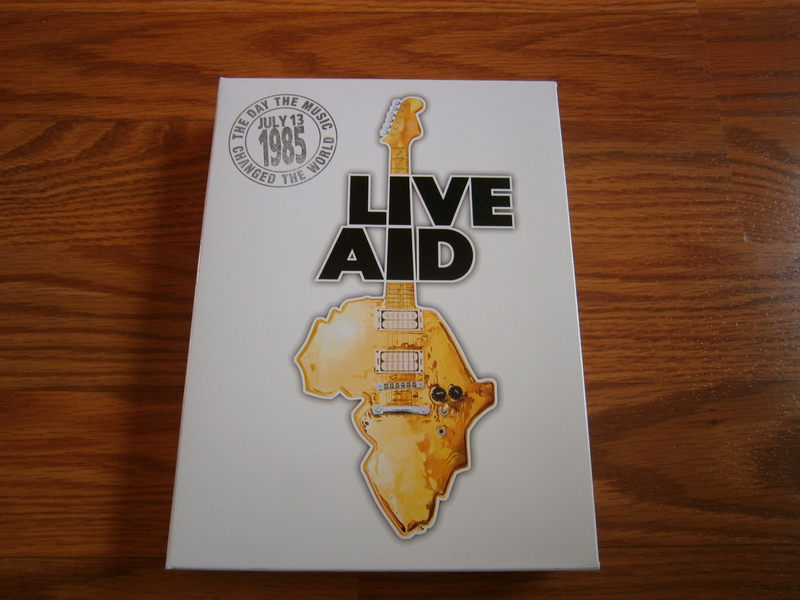 Continuing on the 1985 track, the Guitar Train is stopping to revisit Live Aid thirty years after the epic charity concert. Musician Bob Geldof arranged the concert which was held on July 13, 1985 at both Wembley Stadium in London, England and JFK Stadium in Philadelphia, Pennsylvania. Many of the top musicians of the time, including a few women, performed at the two stadiums. I watched the concert live in 1985 on MTV. All these years later, I still remember the performances of Phil Collins, The Cars, Madonna, and the group sing along of “We Are the World”. Upon recently watching the 2004 DVDs from the concert, my overwhelming thought was so many male musicians, so many mullets. There were too many mulleted men to mention but they included Bryan Adams, Bono, David Bowie, Eric Clapton, and Kenny Loggins. My other thought was how much the TV show “Miami Vice” influenced the male musicians’ fashion style. I saw many pants with rolled up cuffs as if the musicians were going to be wading in the ocean rather than standing on a dry stage. Now it’s time to take a look at Live Aid from the perspective of my favorite musicians. 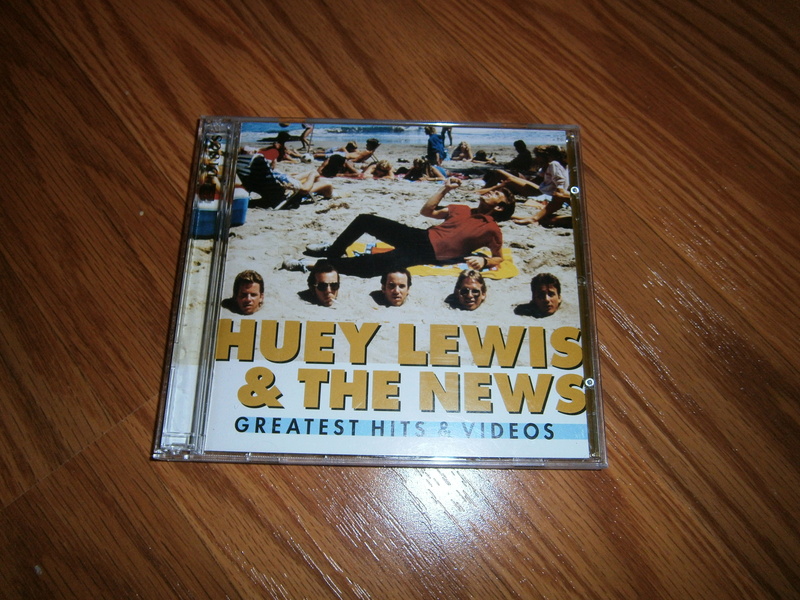 Huey Lewis and the News had participated in the recording of the charity single “We Are the World” months before and were scheduled to perform at Live Aid in Philly. They had concerns over whether the food bought from the money raised from the song actually got to the needy people in Africa. 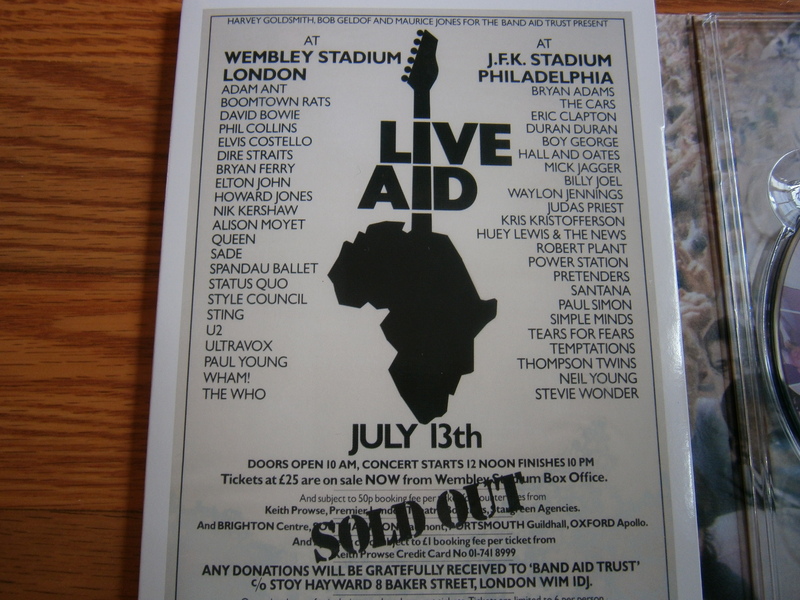 The band wanted these concerns addressed and fixed before Live Aid so that any money raised from this concert would get to the people who needed it. Since they felt that the issues were not solved, the band cancelled their performance. (They were still listed on the promotional material for the concert). It’s doubly unfortunate both if the food wasn’t getting to the hungry people and the fact that Huey Lewis and the News didn’t perform. It would be great to have seen them at the time and now have their performance on DVD to watch again. Although who knows if their performance would have made the DVD. I have the 4 DVD set of the concert released in 2004 and it doesn’t include all the performances of the 16 hour concert. Back then, they only thought of the one time live performance, not recording the concert for future viewings and for technology that didn’t yet exist. The Beatles obviously did not perform at the 1985 concert but their music was performed there. In London, Elvis Costello sang “All You Need is Love” while Bryan Ferry sang John Lennon’s “Jealous Guy”. In Philly, The Thompson Twins, Nile Rodgers, and Madonna sang “Revolution” and Patti LaBelle sang “Imagine”. Paul McCartney was at Wembley Stadium where he played piano and sang “Let It Be”. I am surprised that he only sang one song. He certainly had many to choose from between The Beatles and Wings. I definitely would have liked to have heard more from him as I’m sure the audience would have as well. Phil Collins was the talk of Live Aid because he was the only musician to perform at both stadiums as he played at Wembley and then flew on the Concorde to play in Philly hours later. In both countries, he played the same two songs, “Against All Odds” and “In the Air Tonight”. I don’t understand why with three solo albums of songs to choose from, he would repeat songs. Obviously, “I Don’t Care Anymore” and “Do You Know, do you care?” would not be good choices for a concert raising money to help suffering people but he had plenty of other songs to choose from. In London, Phil Collins played piano for “Against All Odds” and “In the Air Tonight” which struck me as odd because he’s never played piano at any of the solo and Genesis concerts I‘ve attended. He then sang “Long Long Way to Go” from his at the time newly released third solo album “No Jacket Required”. This is the song I really remember from watching the concert at the time; the chorus of the song stuck in my head as a child. Sting joined Phil on that song and Phil joined Sting on his song, “Every Breath You Take”. I thought they were very good together and I wonder why they haven’t done more songs together. Overall Phil’s performance was subdued and not as rocking as it could have been with other songs or with Genesis. Hours later in Philly, Phil Collins played drums for Eric Clapton for three Eric Clapton songs. Phil then did “Against All Odds” and “In the Air Tonight”. It was odd again to see him playing the piano especially on “In the Air Tonight” which is known for his drumming and is always the instrumental highlight in his concerts. I found this version to be too slow and ballady and I felt it needed the drums. It’s also ironic that he wasn’t playing the drums since he just played them for Eric Clapton’s songs and then played them for Led Zepplin. Here’s been much written about how disastrous the reunion of Led Zepplin was at Live Aid. I don’t understand why Phil was blamed for that since he wasn’t the only drummer playing for the band and he didn’t have much time to practice with them. Led Zepplin would not allow the performance to appear on the DVD of the concert so it’s not included. I was familiar with most of the musical acts who played in Philly. However, there were many acts in London that I did not know such as Status Quo, The Style Council, Ultravox, Nik Kershaw, and Alison Moyet. To the British Guitar Train passengers, can you tell me if these musicians were famous in 1985 and did they deserve to perform at Live Aid? Have any of them retained their fame 30 years later? To all Guitar Train passengers, what do you remember from watching Live Aid? What were the highlights and the lowlights for you?